I have been restless, wanting to get away, but where to go. I struggled and thought. I have been reading more about the Connecticut River, and decided I had to explore more in Connecticut. Do you remember the most recent sojourns in the Nutmeg and Constitution State? 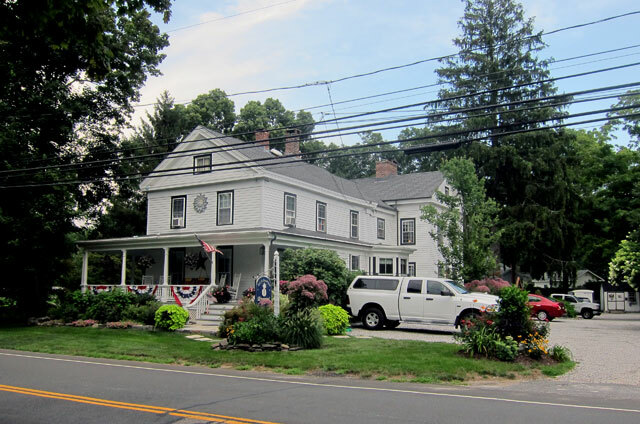 Well, I am overdue for Mystic Seaport, so decided to revisit there, but in a travel book on the Connecticut River I read about the Riverwind Inn in Deep River, so that was the B&B selection. 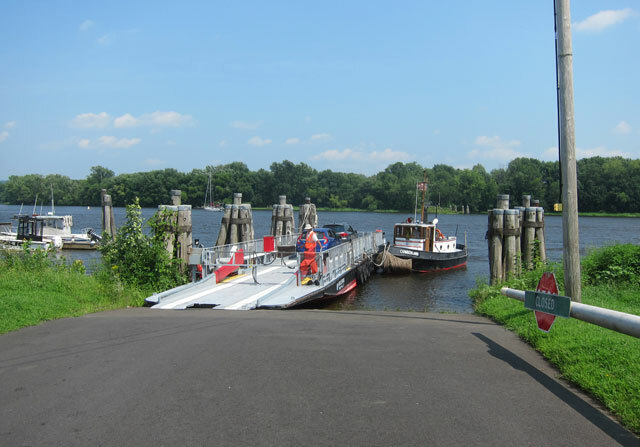 Then I discovered I had miscalculated the distances – not my style, but no problem, head east instead of west from Deep River. A plan was hatched to include an outing I have not done since 7th or 8th grade. And the drive south on Tuesday, today, filled with ideas. 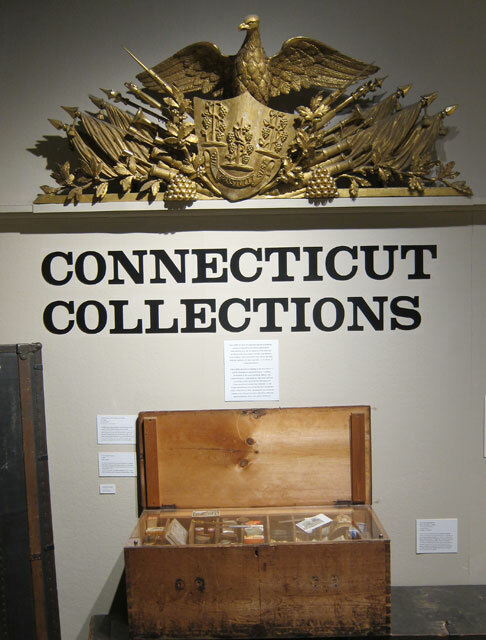 First stop I planned was the Connecticut Museum of History in the State Library building in Hartford. Not big the museum, but an impressive main hall. I began to get a tad disappointed, then saw the side room. 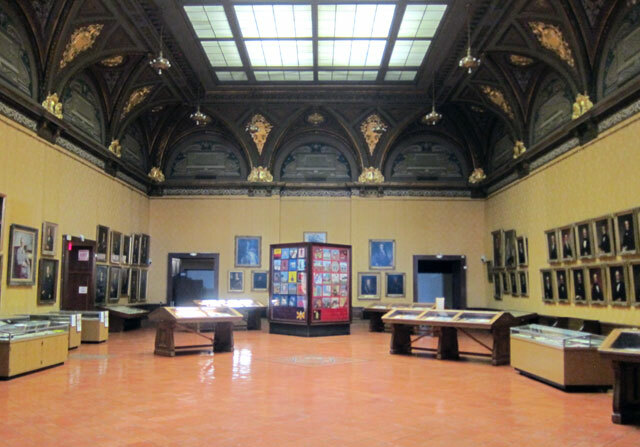 I entered, and there were a number of interesting exhibits which I have given a sampling of in the gallery below. You can click on any image in the gallery below to see a larger size. I have given a brief description of each as you will see. A Liberty Bell presented to Connecticut following its participation in the 1926 Sesqui-Centennial in Philaelphia. Fascinating history of the Charter Oak, where the document was hidden, and its importance as the first Constitution in the now US. Read this on the history of Frisbees. I fondly remember my Green Pluto Platter I had in the mid-1950s following seeing one at YMCA Day Camp. And, then I saw this !!! — It made my day !!! I know, I know — I am complicated, but I think interesting. I know you have absolutely no idea what the above is — well, I did without even reading. I will have to share with you my prize winning essay, THERE IS A KING BURIED IN CONNECTICUT’S WOODS. Yes, that’s right. I won the Hartford Courant (newspaper) essay contest about 1960 (can give you exact date when I pull my file at home). 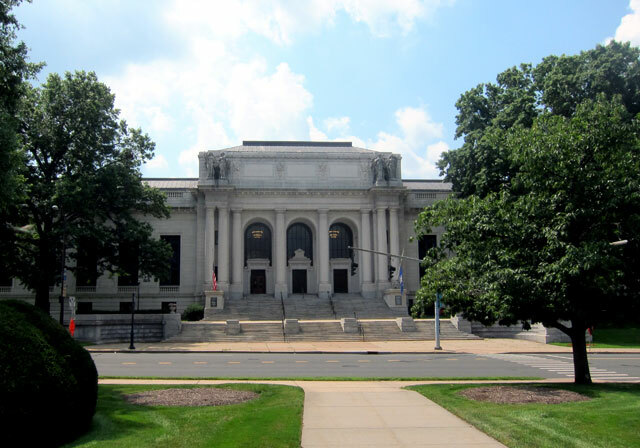 In 7th grade I started working in the the Wilton, Connecticut, Public Library (starting to see the connections and threads in my life?). I do not remember names usually, but John Davenport, who worked there, told me about King George III’s Statue in New York City, and showed me a piece of the statue he had. A small piece, and the most highly gilted piece ever found. 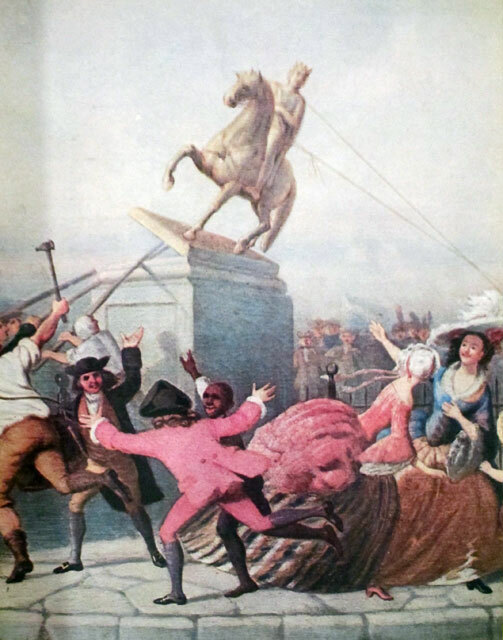 When the Declaration of Independence was first read in New York City, July 9, 1776, the lead statue of King George III on Bowling Green was torn down. Loaded onto wagons to be hauled to the military depot in Litchfield, Connecticut (I lived just south of there with Cathy), the lead was going to be melted down into bullets to be hurled back at the British. On the wagons’ trek, however, Loyalists stole pieces of lead burying them. This happened in my hometown of Wilton, Connecticut, when the wagons were parked at a tavern – the Sloane house. 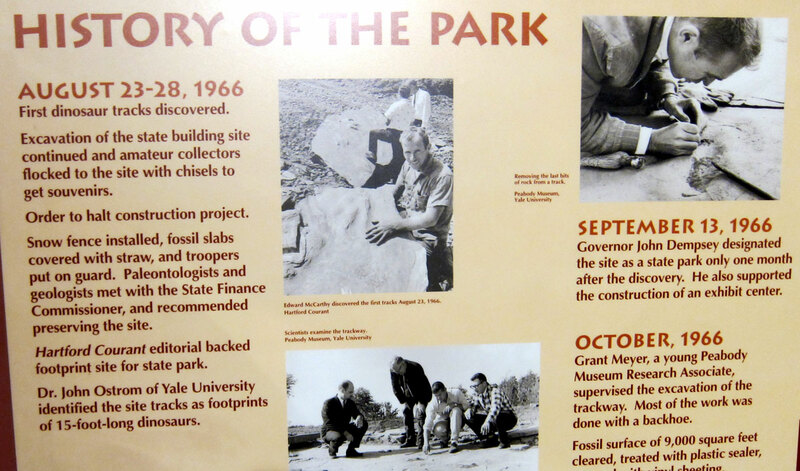 Over the years pieces have been found, and this large piece was given to the state in 1960. 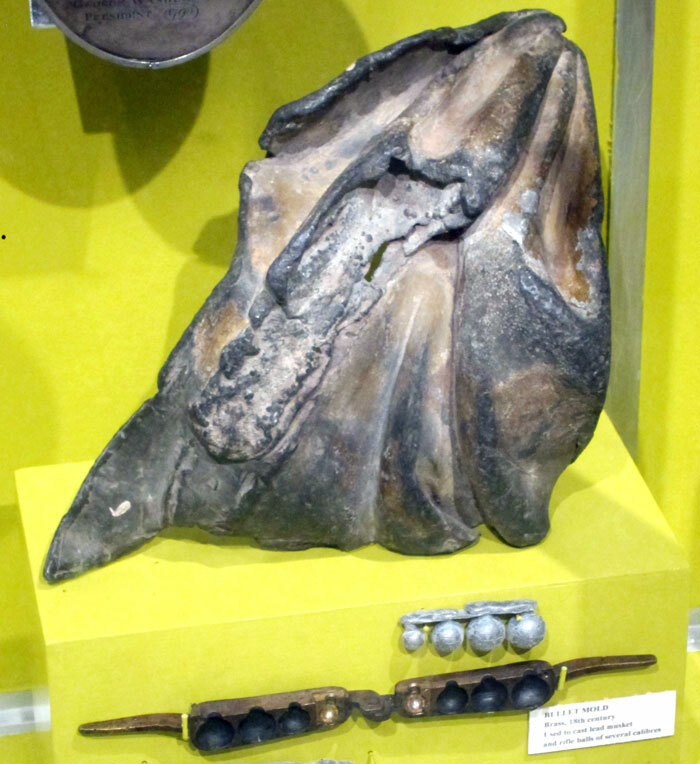 The piece in the museum – a shoulder piece of the toga on the King. It was John Davenport showing me his piece that may have helped spark my interest in history, and my interest in writing. I subsequently wrote another piece about this statue in the 1980s and it was accepted and published by American History Illustrated. When I get home I will have to scan that and share it with you. I have a file of my history writings before my CLARION days, and history article days. Yes – there are enjoyable constants in my life. 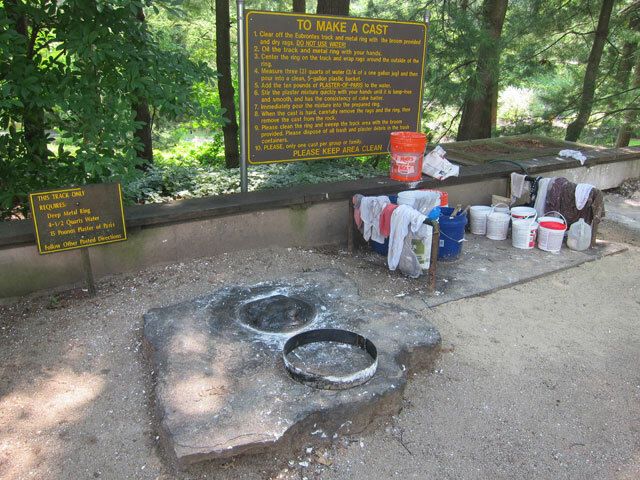 Next on my list for the day – and tying into my recent week program at Historic Deerfield that I still need to share – was Dinosaur State Park in Rocky Hill, Connecticut. 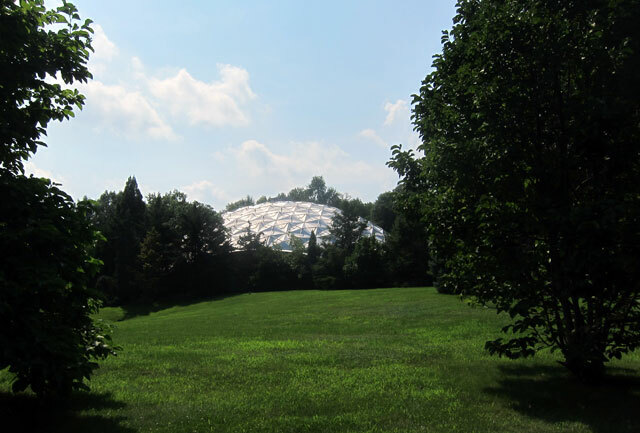 The dome you see below covers the tracks on exhibit, and under the field in front are more that were recovered. Just off I-91 south of Hartford a few minutes, you have to stop. The stretch of road has state government offices and facilities. 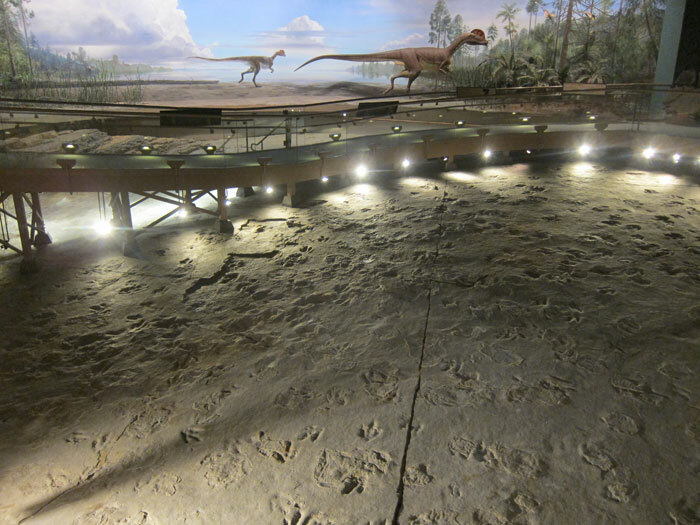 The dinosaur tracks were found when another excavation began. 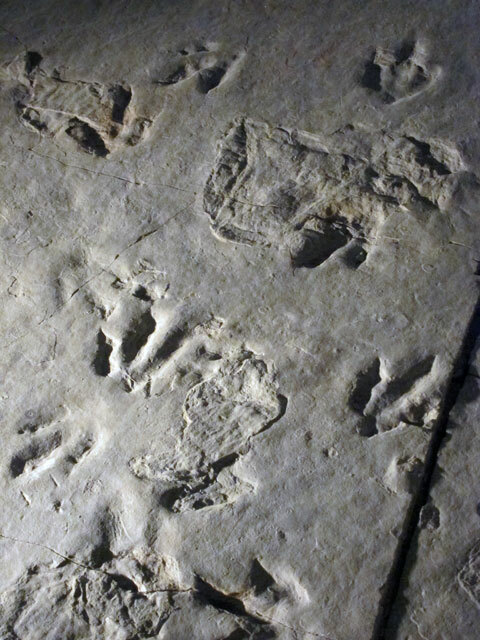 Within days after discovery, the site was preserved. lots of informative exhibits in the building, a fascinating 25 minute film on the history of the area and site (covering 100s of millions of years). Not my best side below. As you begin to learn about these preserved tracks (more in my overdue post) you will learn that they are found in sedimentary rocks, and layers will separate. There will be a positive (the original print) and then new sediments fill-in, and you get a negative impression – as above. But how can that happen? I learned on one panel. Fine flakes of Mica are in the sediment, and act as a lubricant to hold the sediment shape. The more Mica, the better a shape in sand is preserved, and later the easier each layer can be separated into the positive (actual track) and negative stones. 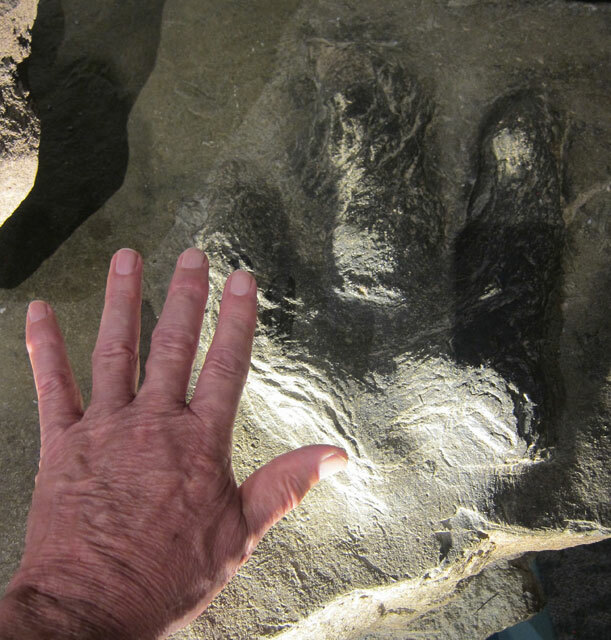 Outside, before the nature walks, is a group of negative stones (raised impression) where you can make your own plaster cast of an actual dinosaur foot print. A great activity to join in. 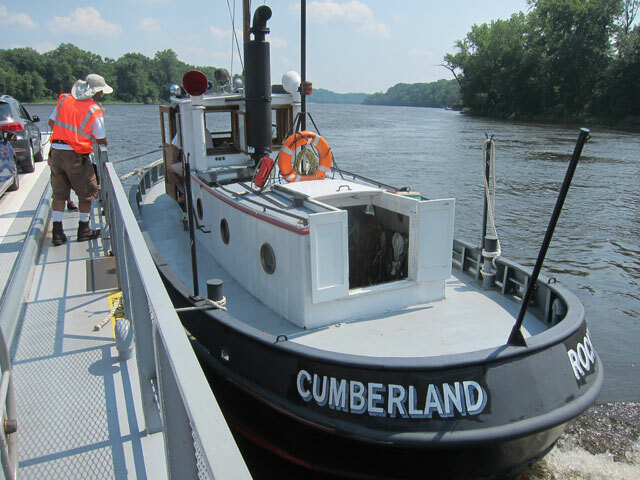 In my most recent reading, I learned of the oldest ferry in the US, crossing the Connecticut River since 1655, and just down the road. Of course that was on the day’s plan. 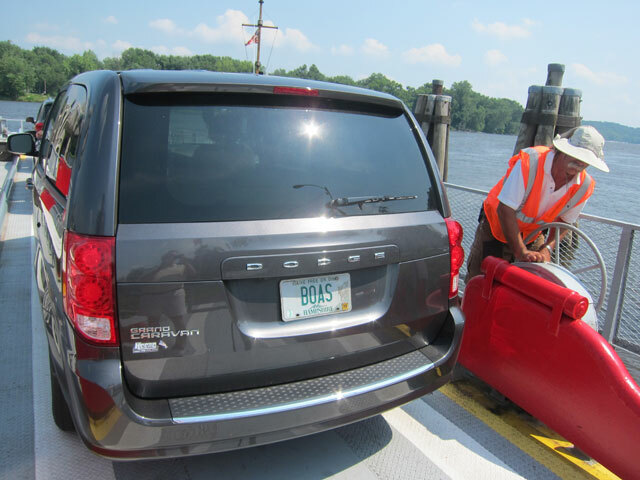 I pulled up just as the ferry was beginning to depart, but they stopped, reopened the gate, and waved me aboard. GiGi on her first ferry ride. 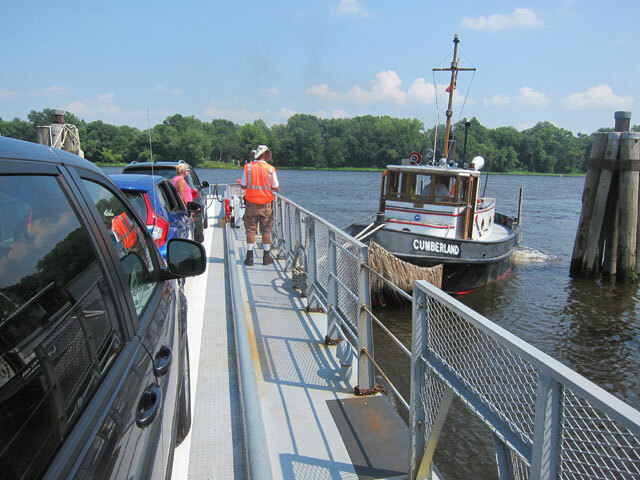 It was then over to Route 17 to Route 17A on the east side of the river to head south to Middletown. Beautiful countryside. But make sure you take 17A into Portland proper, and turn right towards the river and the Brownstone Quarry. This quarry supplied much of New York City’s brownstone building materials. The quarry is now a recreation area, including swimming. Driving through Middletown I was reminded “I don’t do crowds” but I could go back and explore some of the shops. 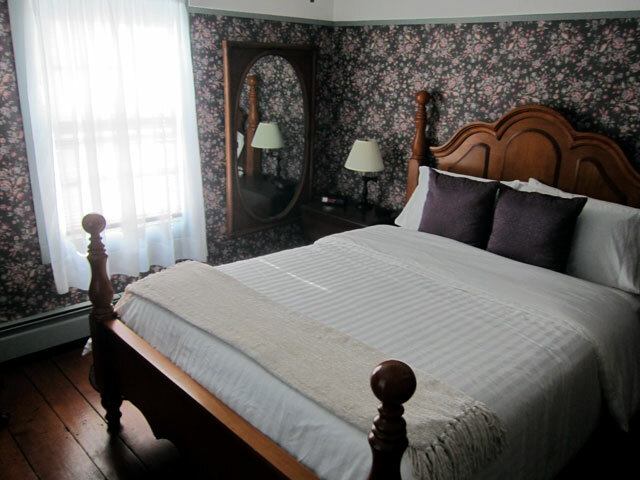 I decided to hop on Route 9 and hurry on down to Deep River, and the Riverwind Inn – my B&B for the next two nights. My room is on the second floor corner in the right in the above image. 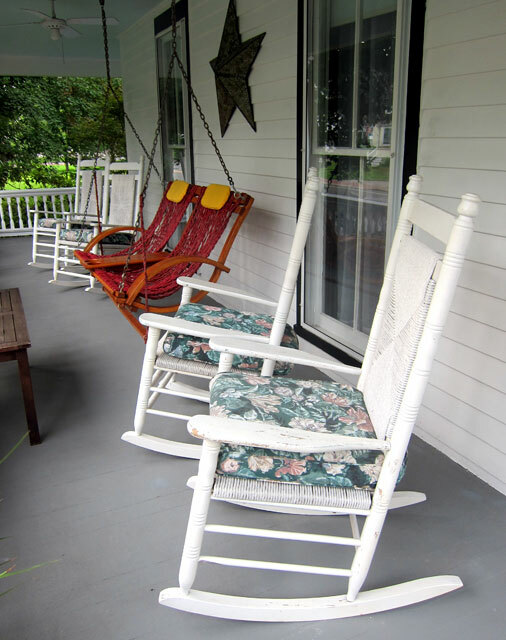 Lots of wonderful common areas, back yard patio to enjoy, and a front porch. Gracious hosts – highly recommend. I usually give you a view of my room, but here is a small size you can enlarge if you wish. 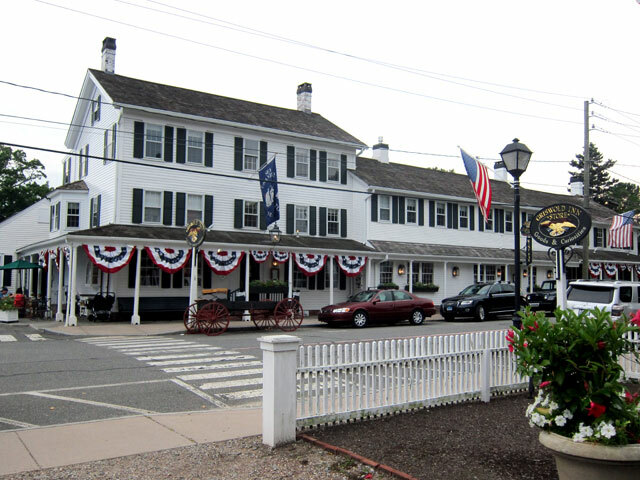 The dinner plan for the evening was the Griswold Inn in Essex, which has been in continuous operation since 1776. Cathy and I stayed there over 20 years ago, I enjoyed driving by on the trip in August 2016, so off I went on back roads from Deep River to Essex – actually only a few minutes. The famous Tap Room as you enter. My company for dinner – and soon consumed – scallops. And, then it was back to the porch to read and write. 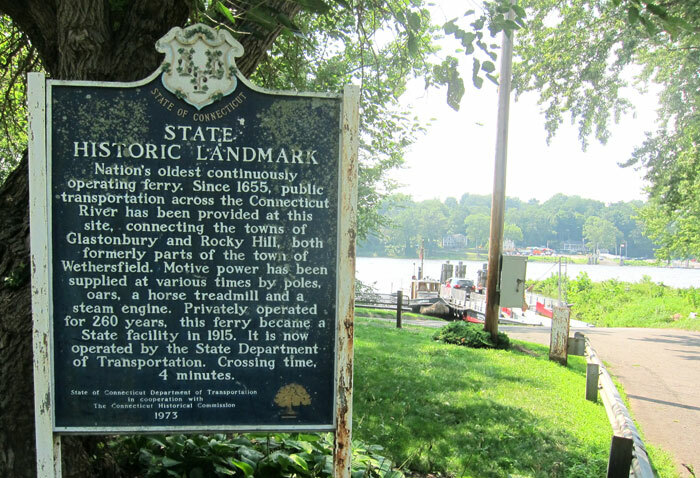 This entry was posted in Day (or maybe two) Trips and tagged Connecticut, CT, Deep River, Dinosaur State Park, Griswold Inn, Hartford, Museum of Connecticut History, Riverwind Inn, Rocky Hill, Rocky Hill Ferry. Bookmark the permalink. Hi Ray, A parenthetical note on the Griswold Inn. In the late 19th century and into the early 20th, ship builders/owners often commissioned paintings of their newly completed ships. These paintings were known as ship portraits and perhaps the most famous ship portrait artist was Antonio Jacobsen. The Griswold Inn has an extensive collection of Jacobsen’s ship portraits lining the walls of the dining room. Perhaps you noticed them? Today we’re off to King’s Canyon and Sequoia National Parks to celebrate our 38th wedding anniversary. Wildfires in Yosemite have diverted people south to these two parks, so it may be a bit crowded. Sigh. Anyway we’ll gawk at the giant trees and spelunk in the Crystal Caves.